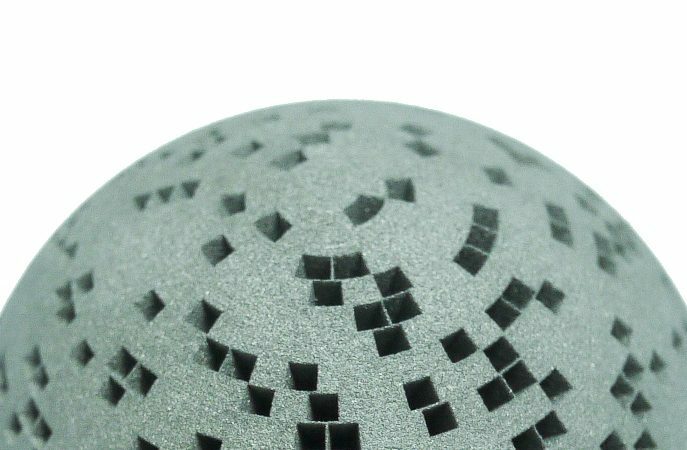 Wolfmet 3D (SLM / Additive Manufacturing) is the revolutionary additive manufacturing process provided by M&I Materials Ltd. It utilises a high powered laser to fuse successive layers of pure tungsten powder until a complex component is built. It is perfect for the manufacture of high-precision components such as collimators and radiation shields in imaging systems, such as CT, SPECT, MR and X-ray. Furthermore, using Wolfmet 3D allows components to be produced cost effectively in days rather than weeks. 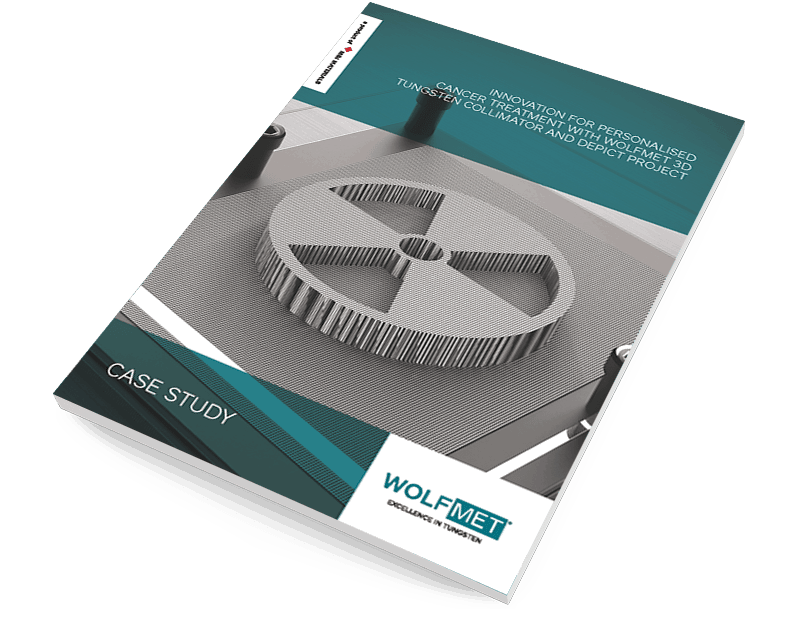 We believe Wolfmet 3D is transforming what is possible in collimator and shielding design and our customers have been keen to test this proposition. In addition to standard grid collimators, we have been making complex bespoke designs that deliver better results for our customers. 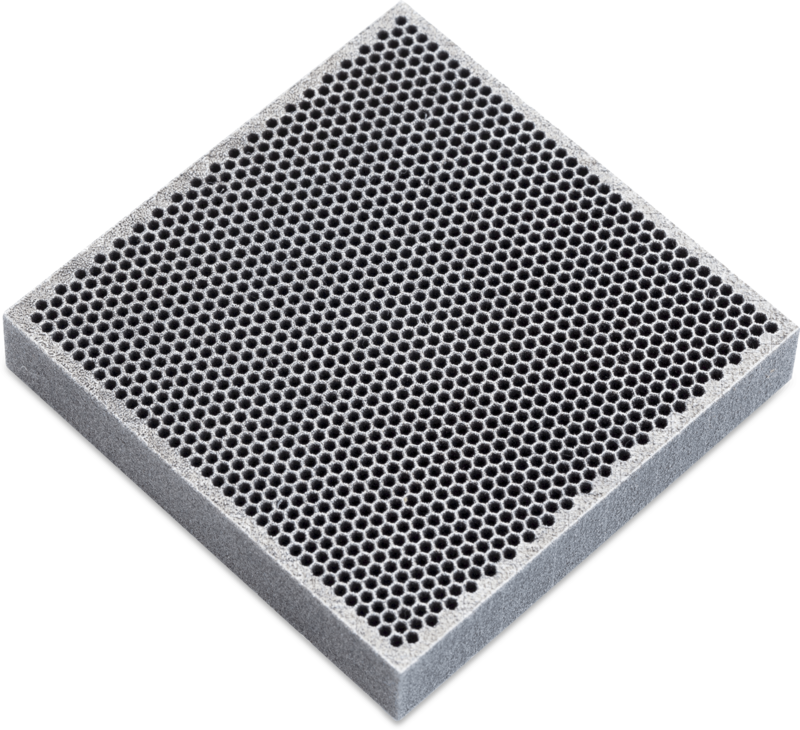 Recent pre-clinical studies have shown that Wolfmet 3D printed tungsten collimators produce dramatically improved image quality. What is Selective Laser Melting – SLM? 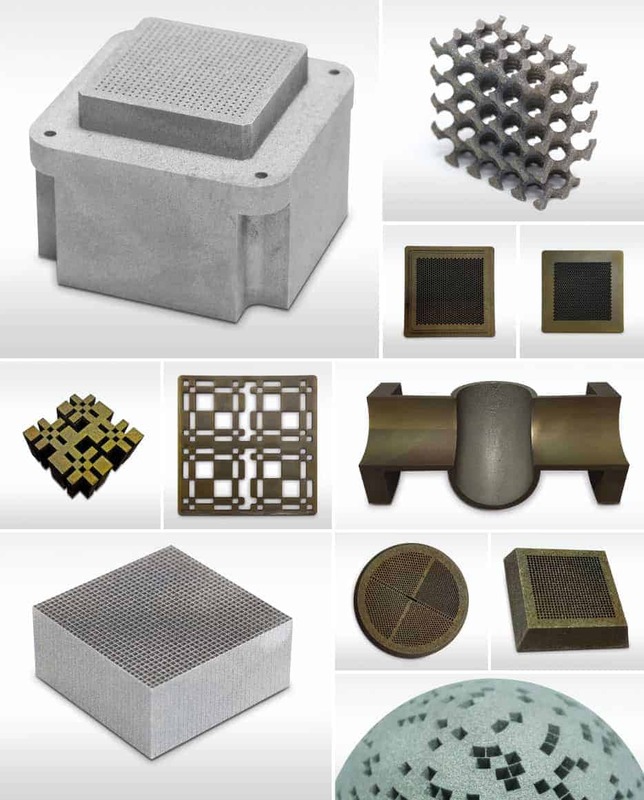 Selective Laser Melting (SLM) or Direct Metal Laser Sintering (DMLS) is an additive manufacturing technique which enables the production of individual metal components with complex geometries without the need for part-specific tooling. The additive manufacturing process / 3D printing method uses a high energy density laser to selectively melt and fuse together the successive layers of metallic powders to form 3-dimensional components. In the case of our own process – Wolfmet 3D the powder is pure tungsten. SLM is a major innovation in the world of Additive Manufacturing(AM). For over 45 years M&I Materials has excelled at sintering tungsten alloy and machining it into quality components. Branching into the world of tungsten 3D printing was therefore a natural progression. For the last 5 years we have been working closely with universities, research labs and hospitals to fine tune our capabilities and test the limits of tungsten 3D printing. Why Selective Laser Melting / Metal Additive Manufacturing? The main benefit of choosing Selective Laser Melting is the ability to manufacture parts of virtually any complexity of geometry without the need for any tooling. The geometries that can be achieved are not possible using subtractive manufacturing methodologies, such as traditional machining. By removing this design limitation the possibilities are quite literarily endless. Factor into this the use of a high density metal that offers excellent radiation attenuation combined with good thermal resistance and the proposition becomes even more appealing. Wolfmet 3D currently uses pure tungsten which has the advantage of offering heat resistance and excellent radiation attenuation. It is the excellent radiation attention which has captured the imagination of our Nuclear Medical audience. It has proven ideal for the manufacture of high-precision components such as collimators and radiation shields in imaging modalities such as CT, SPECT, MR and X-ray. In particular collimator designers have found a Wolfmet 3D tungsten collimator significantly reduces septal penetration in comparison with the same collimator made from lead – resulting in reduced artifacts and much improved image quality. To read our latest case study in which experts from the University of Liverpool – Department of Physics, and The Royal Marsden and Royal Liverpool University Hospitals have been working to develop an imaging system (known as DEPICT) that will better quantify the absorbed radiation and help facilitate personalised treatment planning click here.